I love to travel and I love food. The two items are woven together, unable to be separated and are the things I am most obsessed with in life. Thankfully I have a hubby that is absolutely the same! Many of the most memorable travel experiences somehow involve food, I can’t help it. You could pick just about any food item or drink and I would have a travel story related to it. It is also part of a game Mr. Misadventures and I sometimes play in the car on road trips. “What’s was the best cheese you ever had? The best sushi?” We do long trips and we can talk about this for hours! 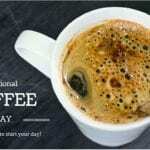 I’ve shared my coffee story before, today we are doing croissant because as a Francophile, it is practically demanded! 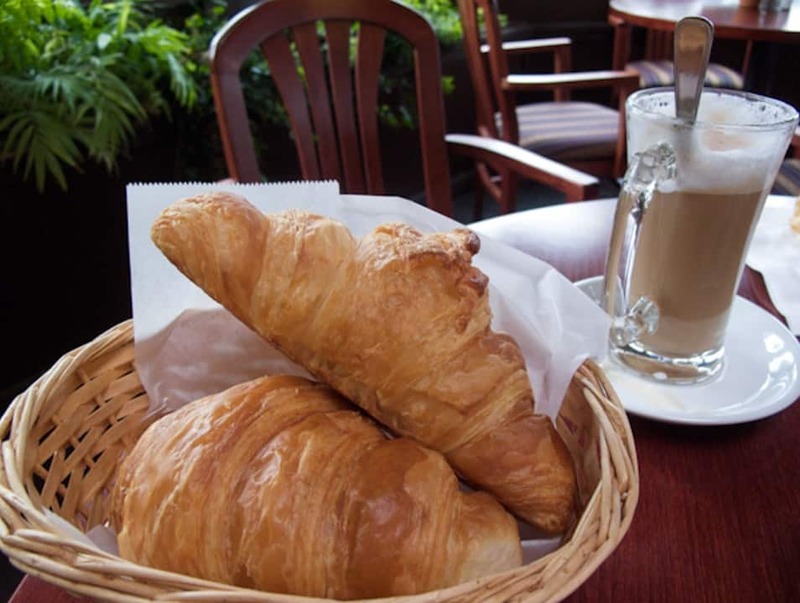 Croissants are an integral part of the typical French breakfast. When I was living in France, we lived in a little village just on the border with Switzerland, right behind Geneva. That little town had one baker who happened to be a Meilleurs Ouvriers de France – which means he was TOP rated in all of France for baking (and chocolates!). Every day I would race home from my office in Switzerland to buy a baguette before they closed. And every weekend I would walk to the boulangerie for croissants, escargot, and baguettes. I looked forward to those pastries every Saturday and Sunday! But not the torment the baker’s wife gave me. In 3 years of buying in that shop almost every single day, she acted like I’d never been in the place before, each and every time. But don’t worry, I’m not holding any grudges. The best croissant I’ve ever had was not eaten in France. Yep. Believe it. The best croissant I’ve ever sunk my teeth into was in fact, from Patisserie Bechler in Pacific Grove, California near Monterey. When Mr. Misadventures and I were dating in the San Francisco Bay Area we would often head to Monterey or Big Sur for the weekends. During one of those weekends, we were seeking out coffee and stumbled upon this amazing Alsatian baker. Alsace is the region of France on the French-German border. You might have heard of the city of Strasbourg which is famous for its Christmas markets. 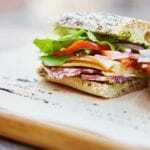 But it is also well known for its food, and especially its pastries. I feel blessed to have discovered this little shop and every time we visited Monterey, Carmel or Big Sur – which was a lot in 15+ years – we always stopped for croissant and coffee. 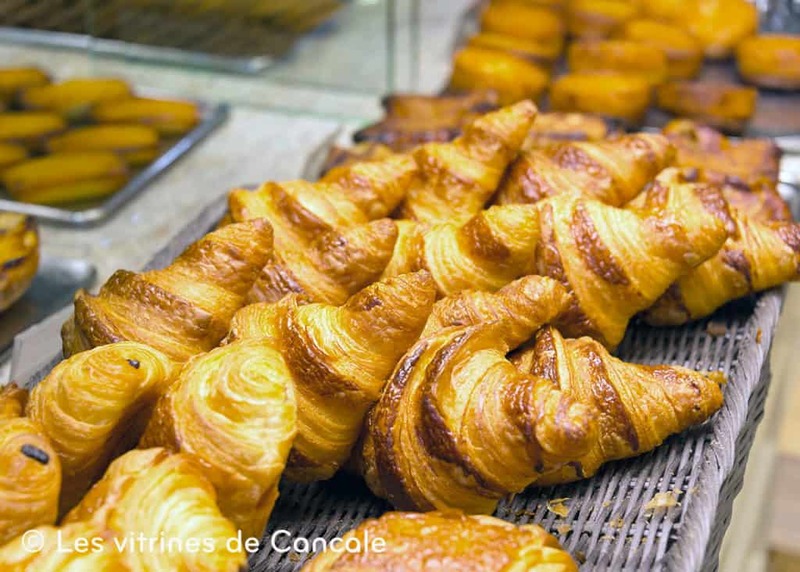 The best croissant I’ve had in France came from the hands of Olivier Roellinger (or at least one of his bakers) while staying at Château Richeux or visiting his store Grain de Vanille in Cancale. Any property in the Les Maisons de Bricourt family run by Chef Roellinger will get you some of the most amazing food you’ve ever had in your life, including a croissant. I dream about returning to Château Richeux over and over. Every detail is obsessively thought out by Mr. Roellinger and his property grows its own vegetables and fruits and bakes its own bread, has a famous dessert cart – the pastries are truly to die for, and everything else he buys from the local bounty around him, and in Brittany France, there is a lot. Freshly baked croissants at Grain de Vanille. Photo credit: Les Vitrines de Cancale. Honorable mention from Brittany is the croissants from Hotel Brittany in Roscoff. I am not sure if it was the local salted butter (yes, on top of an already buttery croissant!) or the fresh jams that I put on top, but the croissants from that delectable kitchen were memorable. The entire Brittany road trip that we did in 2011 was one of the most memorable trips from an epicurean point of view that I’ve ever done. Until my springtime trip to Paris last year, I had never eaten a croissant that I had found to be particularly memorable. 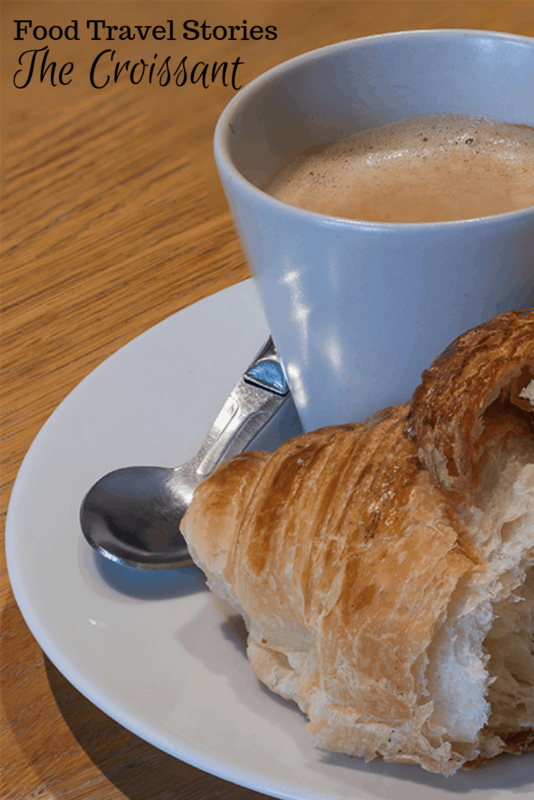 They were serviceable croissants that got me through my morning noisette or café crème (see what these are in my how to order coffee in Paris post). 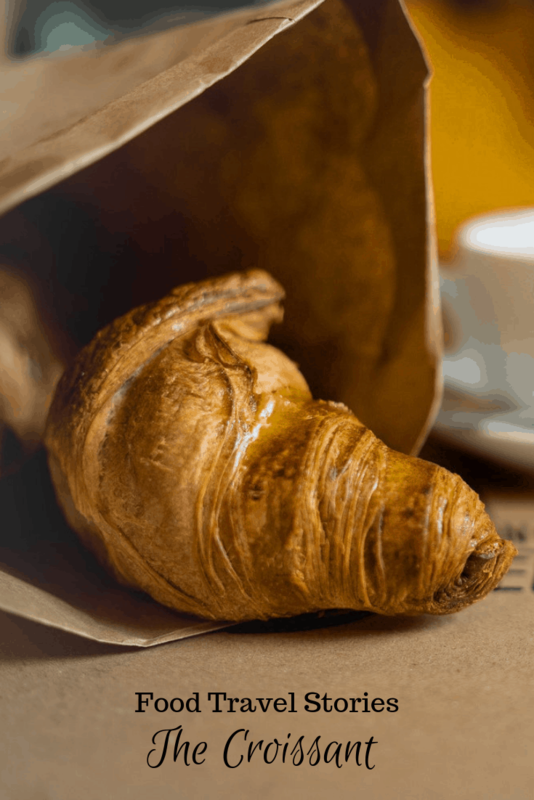 That is NOT to say that there aren’t any good croissants in Paris – there are. I just hadn’t had one. Until Mr. Misadventures discovered Maison Landemaine République on Rue du Temple in the Marais. Mr. Misadventures always gets jetlag and since we were staying in a lovely condo and not a hotel he set off exploring the area while I slept a bit longer. He wanted to stake out where to find a good baguette – truly one of the most important daily tasks for a Frenchman! 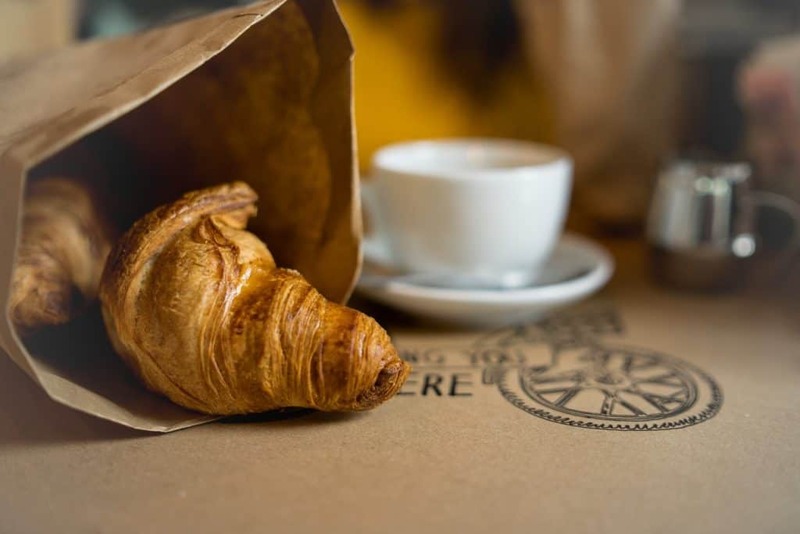 After eyeing a few potential candidates, none of which were open, he stumbled into the very unassuming Maison Landemaine République next to a Monoprix and grabbed croissants and pain au chocolat for breakfast. He apologized for a lack of choice, but when we sat down to eat them, they were absolutely delicious. Light, fluffy, not too greasy. We tried a few other places and it turned out that these were the best in the area and we thoroughly enjoyed them during our two weeks as residents in the area. 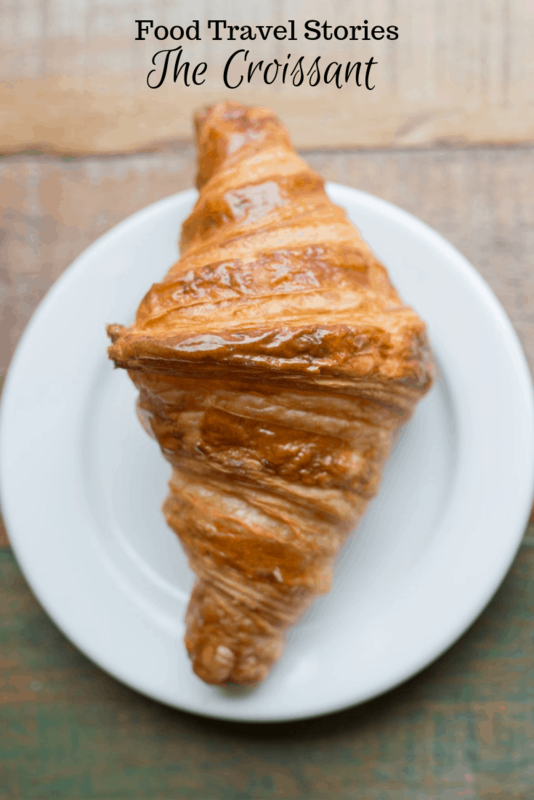 When it comes to croissants in Phoenix, I have not ventured out to try (given my low carb lifestyle, I save them for vacation treats) but a couple of names have been thrown out as having the best in the area: The Bakery Phoenix and Merci French Café. Maybe by the time that National Croissant Day rolls around next year, I can confirm their reputation – an assignment I definitely don’t mind taking on! How about you? Do you like croissants? Where was the best one you ever ate? Didn’t realize today was the day! Sadly it is -55 degrees with wind chill – no way I’m going outside to get one! @Scott, stay warm, croissants will be there tomorrow – or next week if it ever stops snowing! Loved reading this post. It sounds like you have had a few special croissants! I have two favorites that aren’t in Paris, although Maison Kaiser in Paris is up there! There is a French Patisserie in Scarsdale, NY called La Renaissance Patisserie Francaise that have the most light and fluffy croissants. My second favorite (if you will count it) was the pain au chocolat at the BC Ferry Station in Victoria, British Columbia. This was the most scrumptious treat from that trip! @Ashley, merci I will check that out! Happy National Croissant Day! My dream is to be able to actually have one in France. I’m sure they taste NOTHING like the ones here in the US. Thanks for sharing your travels! @Lynn, I hope you get there one day! @Jenna, that has happened to me before – the best linguine and clam sauce I’ve ever had was in Rome and I have no clue where. We tried to find the restaurant again on another trip but couldn’t find it! I don’t think I’ve ever eaten a croissant that looks this delicious. I will have to go and pick some up! I not only love eating croissants, I love to make them, too! My favorite croissant was from a tiny bakery in Munich. @Marta, oh Munich has such great pastries, I remember having an apple one that was life changing! I had no idea croissants originated in Austria! Yes, I had my fill of those tasty little morsels in Paris! @Lori, did you have a favorite while you were in Paris? 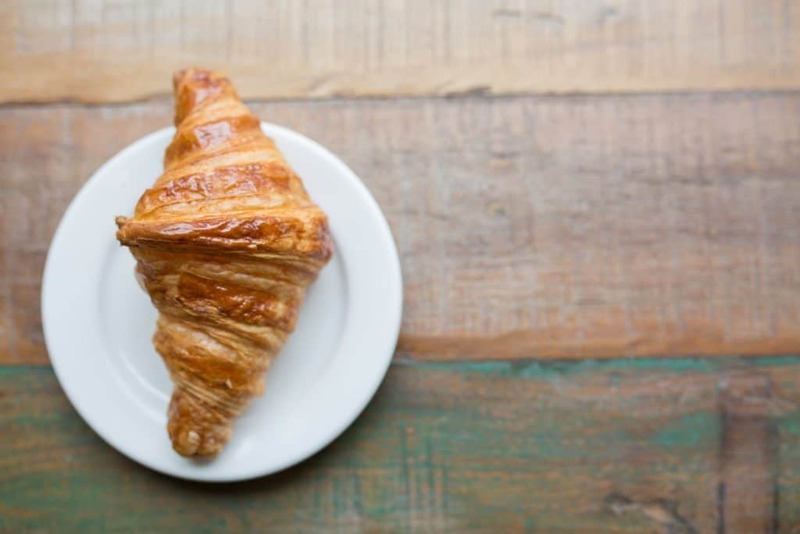 Oh I am really wanting a great croissant right now from this post. Best one I’ve had is from Breads Bakery in NYC but I need to try the patisserie you mention next time I am in the area. @Leigh, I will have to note that spot for my next trip to NYC – thanks for the tip! 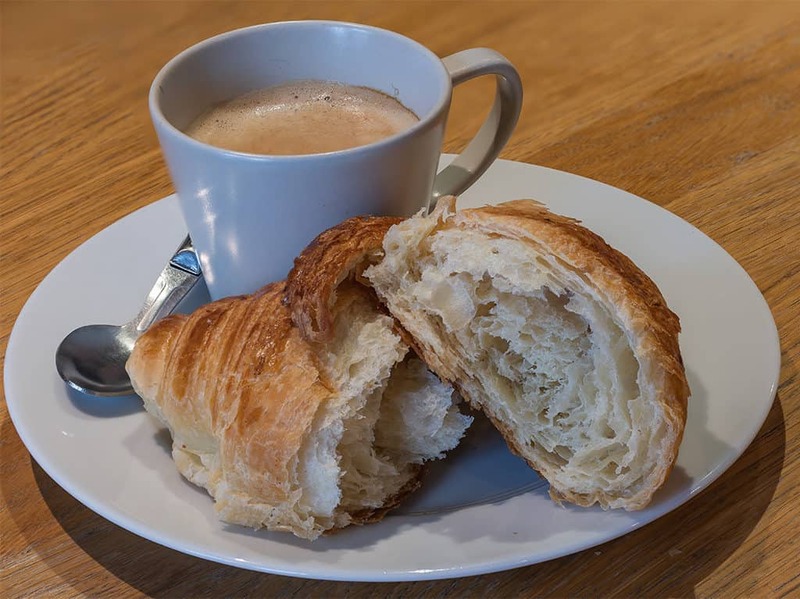 I don’t know about the best croissant in Phoenix but there was an incredible French bakery on the east side of Tucson – La Baguette Parisienne. On weekends, we would take our foster puppies to the Petsmart in the same shopping center and, if any of the pups got adopted, we would celebrate with croissants and coffee from La Baguette. We rescued about 70 puppies one year so we had a lot of croissants. @Ed, okay, you know I have to go hunt that down now! I had no idea there was a day to celebrate this baked goodie! I love croissants! Flaky, buttery delicious treats! Oh my, now I am have this craving for them! @Annemarie, I only learned about last year! Oh my! I will seriously consider driving to Monterey just for this croissant. It reminds me of the best croissant we had in Paris and those buttery layers look so magical. @Linda, given that you are in San Francisco, it is a great weekend trip! @Sarah, was it in Key West by any chance? I had a pretty darn good croissant there! Anyone who can title a post “My Croissant Travels” is a hero in my book. 🙂 I love croissants and eat them every time I am in Europe (which is often in Belgium). I’ve had them in France, too, and don’t know if I’ve ever had a bad croissant. Well, maybe at some hotel continental breakfasts. What I didn’t know was how labor-intensive they are to make. My friend Michelle loves to take on cooking challenges and she made croissants. It took 24 hours and lots of butter and chilling to get all that delectable flakiness. Not surprisingly, the best croissant I’ve ever had — one of Michelle’s. It was definitely baked with incredible attention to detail and love. @Juliann, I have often thought of taking a croissant-making class with my friends at La Cuisine Paris, but I think it would be very dangerous! I am surprised to find out they originated in Austria! I wish I had known that when I was in Austria last month. I mean I had a croissant there and it was good, but had no idea! I have had several great croissants in Paris and so I’m surprised you only had your first last spring. Maybe I need to fine-tune my standards! LOL! @Heather, well eating a lot of them isn’t the healthiest thing in the world, and I prefer the escargot and a simple baguette with salty butter and jam. I want to go to Austria SO bad!